Weight loss doesn't have to be a struggle. Use these 5 simple tips to cut fat and get ripped without spending countless hours at the gym! Spending innumerable hours training clients and talking to those in the fitness industry has taught me that many people overcomplicate their workout and nutrition programs. They set themselves up for failure when they buy into the idea that training and nutrition need to overtake their entire lives, or stem from a program so complex that it requires an advanced mathematics degree. I'm here to tell you that getting in shape doesn't have to be so challenging! Follow these five tips to reach your fitness, performance, and fat-loss goals while still maintaining balance with the rest of your life. Each piece of advice is among my favorite for torching body fat and getting ripped. Add these tips to your daily routine and get ready to see results, fast. Of course, the best part of this advice is that it's simple, easy to implement, and doesn't require you to sacrifice time with the people who matter most to you! This may shock you, but you can actually see better results when you train for shorter periods of time. The key is maximizing your time and effort during your training sessions. Even when you're in great shape, you only need to train for about 30-45 minutes. Training with intensity for short periods 4-5 days a week and eating smart is all you need to see results. Training with intensity for short periods 4-5 days a week and eating smart is all you need to see results. Strenuous bursts of activity help increase your body's production of growth hormone and testosterone, the hormones that support muscle growth while burning body fat. This is increasingly true for both men and women. While a woman might not think that her goal is to ramp up testosterone levels, the truth is that doing so naturally will help her get lean and actually look more feminine. Men will also gain advantages, like adding more muscle mass while reducing body fat. Another reason to keep your workouts short is because, once you've managed to elevate you anabolic hormones, you ideally want to get into recovery and growth mode as quickly as possible. While long training sessions can increase your endurance, they do so at the expense of your physique goals: They may break down muscle tissue to use for energy. 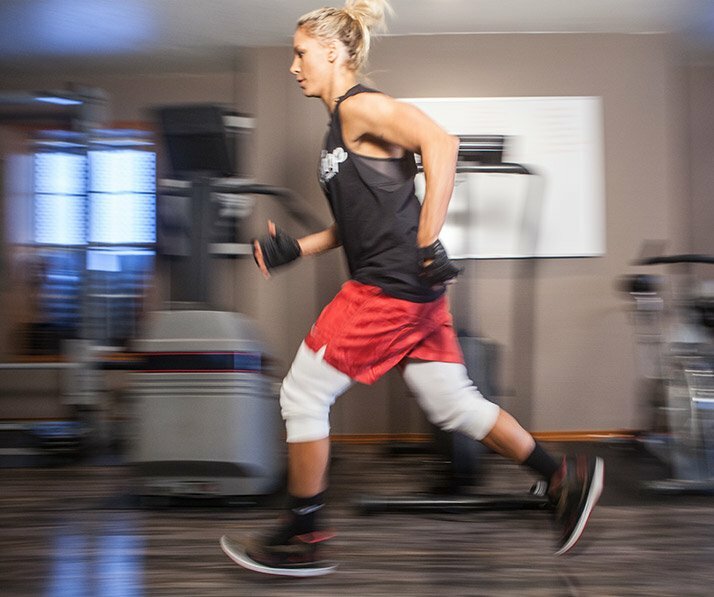 I've used high-intensity interval training (HIIT) techniques for years, but I've always referred to them as VO2 max training. 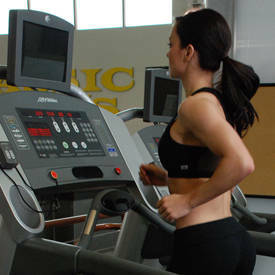 I think my term is more accurate because the purpose of this type of cardio is to increase the maximal amount of oxygen your body can use, known as your VO2 max, which allows you to train harder and harder in short bursts. Once your energy is spent by, say, a minute of intense training, you should wait until your heart rate returns to a comfortable but accelerated rate before performing another VO2 max interval—typically somewhere between 15-30 seconds, depending on your fitness level. Then you should perform your next set or circuit. You only need to do this for about 15-20 minutes total, and maybe 30 minutes maximum when you're in really great shape. 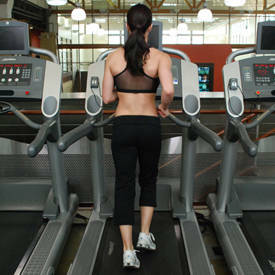 You should emphasize more than one type of cardio within workouts or from one session to the next. 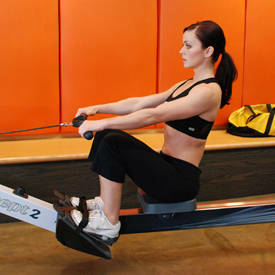 You can use a rowing machine, treadmill, stationary bike or any other piece of equipment that allows you to train with all-out cardiovascular intensity followed by a short recovery period. Most people understand that training with weights helps build muscle tissue, but they don't always fully appreciate its effectiveness for burning body fat. Having more muscle tissue boosts your metabolic rate, or the number of calories your body burns at rest. While your body doesn't turn fat into muscle, increased muscle mass does help you turn stored fat into energy. "While your body doesn't turn fat into muscle, increased muscle mass does help you turn stored fat into energy." I keep my weight-training sessions as short as my HIIT training. I like to group exercises together into circuits, or include bodyweight movements like burpees that have multiple planes of movement. While I don't follow a traditional body-part split, I do focus on different muscle groups from one workout to the next. I really like the cadence of performing a circuit of 3-4 moves followed by a short rest period. The number of reps per exercise within circuits can vary quite a bit based on your fitness level. Choose a number that you can complete for each circuit with minimal rest. 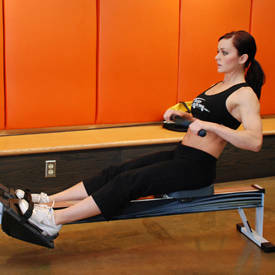 Rest for 30-60 seconds between circuits. My take on nutrition is that what you don't eat is nearly as important as what you do eat. When you're trying to cut body fat and keep or add muscle mass, you still need plenty of calories and a balanced ratio of macronutrients: protein, dietary fats, and carbs. But where you get them is what's most important to me. One of the first things I do when I'm helping a client is recommend that they cut the following from their diets: gluten, dairy (with the exception of whey protein isolate), and red meat (except for organic, grass-fed, hormone-free beef once or twice a month). It goes without saying that you should also remove all processed foods: cookies, crackers, and anything else that is prepackaged. I also recommend using coconut water with whey protein isolate around your workouts to drive amino acids to working muscles and support recovery. 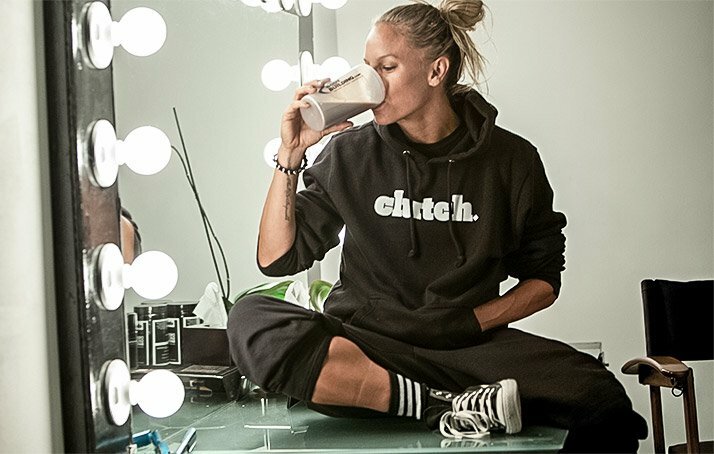 For my protein product, Clutch Protein Powder, I sourced my whey from New Zealand where antibiotics are illegal for raising cattle, because I truly believe that what you eat matters. Even though debates rage on about meal frequency, I also recommend that you take in a small meal every 2-3 hours. I recommend keeping protein intake to about 25 grams per meal, and no more than 35 grams for ease of digestion and to promote absorption. Amounts beyond this, taken in frequently, may go to waste. When you're trying to cut body fat and keep or add muscle mass, you still need plenty of calories and a balanced ratio of macronutrients: protein, dietary fats, and carbs. Ultimately, my goal is to have you consume more calories from these sources per day. That's because the exercise programs I recommend encourage your metabolism to speed up, allowing you to get leaner while supporting muscle growth. This sets the groundwork for a nutrition and exercise program you can sustain for the long term. You'll never be hungry because you can eat as much as you want, as long as you're consuming the right foods. Dieting and exercise can increase stress on the body, often for the better, but things go south when people become chronically stressed. Daily life stresses out many people already, causing a release of hormones such as cortisol, which may lead to increased stored belly fat. Cortisol also has a catabolic effect on the body, which can lead to muscle breakdown. I recommend people take supplements that support muscle-building, including amino acids, but avoid central nervous stimulators (CNS) such as caffeine. I recommend people take supplements that support muscle-building, including amino acids, but avoid central nervous stimulators (CNS) such as caffeine. In support of this idea, many pre-workout products, including my own, don't include stimulants. The Clutch pre-workout contains amino acids that support greater energy expenditure without overtaxing your CNS. I also recommend taking in creatine to help increase muscle strength, beta-alanine to buffer fatigue, and arginine and ornithine to support nitric oxide (NO) production. NO is a gas molecule that allows your blood vessels to relax so more blood, oxygen, and nutrients reach working muscle tissue. These are the natural, physiological responses you want your body to have while you're training, rather than an overload of stress hormones. Armed with the above info, you should now be ready to crush your fitness goals! Weight loss doesn't have to be overcomplicated. Train intensely, lift weights, cut junk and nutrient-deprived foods from your diet, and support your efforts with smart supplementation. By taking these simple steps, you'll be well on your way to a fitter, happier, healthier life! And that's clutch.